Telecommuting (or working remote) isn’t just some passing trend in the workforce. It’s a very real, very prevalent way that many people are working their current jobs. I know, I’m coming out strong here, but as a telecommuter myself, I think it’s important to understand just how integrated it has gotten into the ‘normal’ work grind. If you don’t want to just believe these words I’m typing, though, CNBC has actually done the research and has found that 70% of people globally work remotely at least once a week. So, what exactly do companies need to know about adopting this way of business? First off, there are a lot of good aspects and there are a lot of not so great aspects. When you allow your employees to telecommute, you’re putting autonomy and the power to work as they do best, in their hands. Consider this -- when your employees are in charge of their day, they feel they are their own boss. They can create flexible work schedules that works best with their personal productivity and work at their own speed without their manager breathing down their neck. Telecommuting even promotes inclusion. For instance, if your employee is a single parent or if they have a disability, telecommuting helps make it easier for them to be a productive member of your team without the added stress of having to come into the office. Your employee’s happiness and ability to perform their job in the best way possible for them is important but it’s also essential to consider how this impacts your business. The good news here is that telecommuting is actually good on your bank account. The average business would save up to $11,000 per employee per year—an incredible $700 billion per year in the U.S. alone—if employees telecommuted part time. While telecommuting is great to empower employees, it’s worth noting that the right culture has to be in place for it to work out. 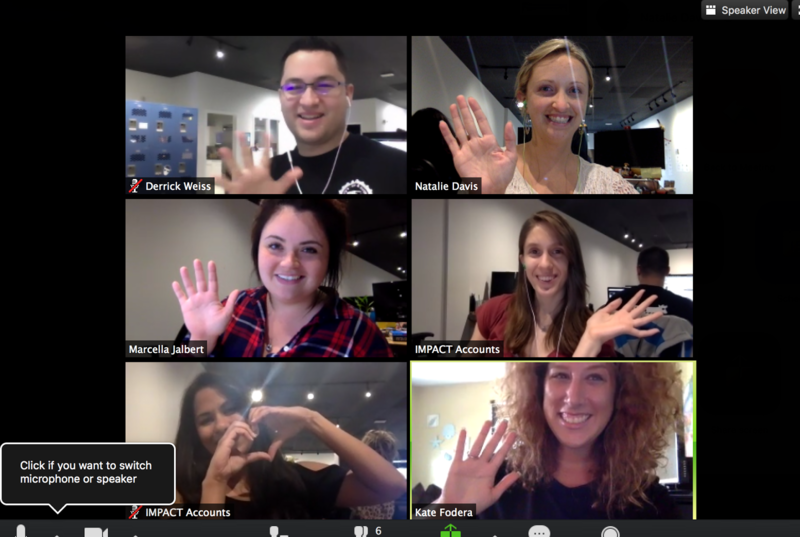 Not to toot our own horn, but I can say from personal experience, IMPACT has done an amazing job at ensuring their remote employees feel as though they’re a part of the team and aren’t isolated. Without the face-to-face interaction between employees, there’s a higher chance for miscommunication or, even worse, a complete lack of communication. It’s easy to walk across the hall and work through a problem within 5 minutes but when your employees telecommute, it’s up to them to get on a video call. Too many times we’ve seen it where someone tries to talk through an issue via Slack and it takes way longer than it should. By finding and implementing the right communication channels (and ensuring your employees know what channel to use and when), you can decrease the risk of this happening. All and all, there are many things to consider if you’re looking to make the shift to a business that supports and encourages telecommuting. Check out this infographic from Manilla Recruitment to learn more about it!